In our modern world, it's easy to forget how cool flying actually is. 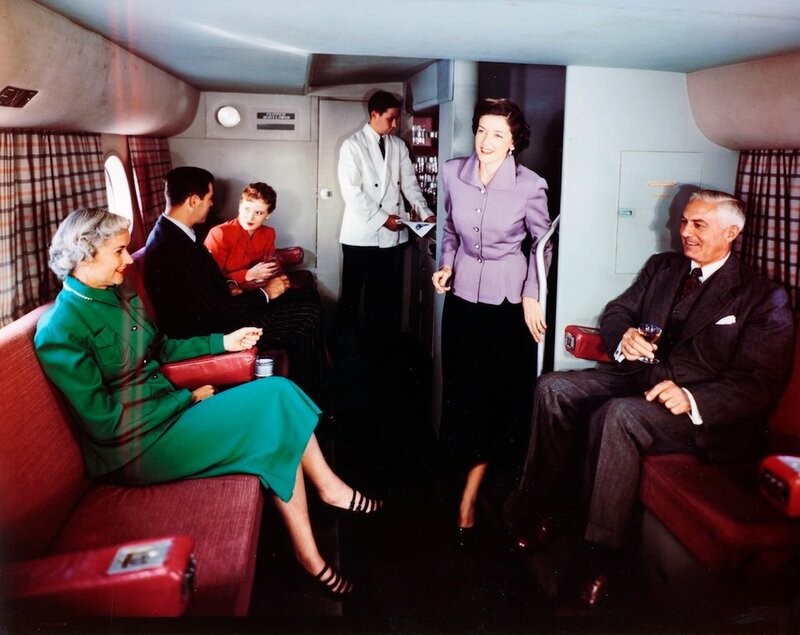 But people didn't take flying for granted in the 1950s, when air travel was still new and exciting . In that era, flight attendants served in-flight meals on fine china plates with proper cutlery , passengers could stretch their legs in lounges on the plane, and even sleep in seats that converted into beds. 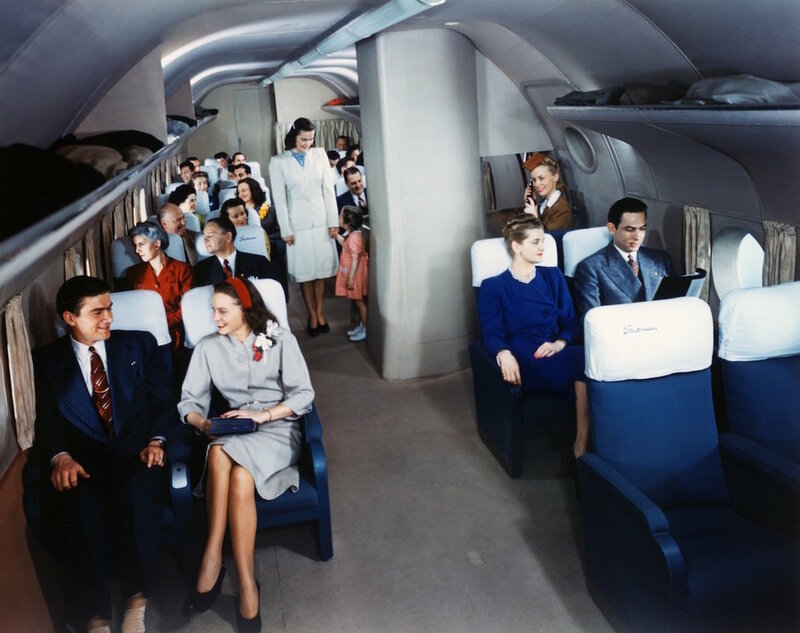 Folks at the INSIDER dug through Boeing's digital archives and found some fascinating photos that show what flying was like 60 years ago. Though the seats do appear to be roomier. 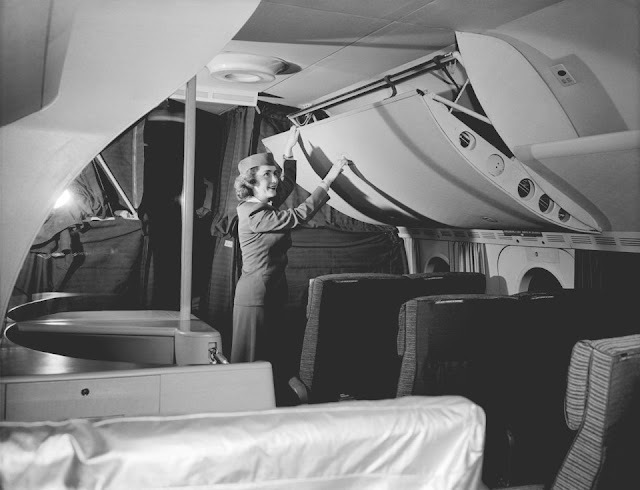 The inside of this plane cabin was designed with fabric coverings over the sidewalls, ceiling, and floor, to muffle sound. 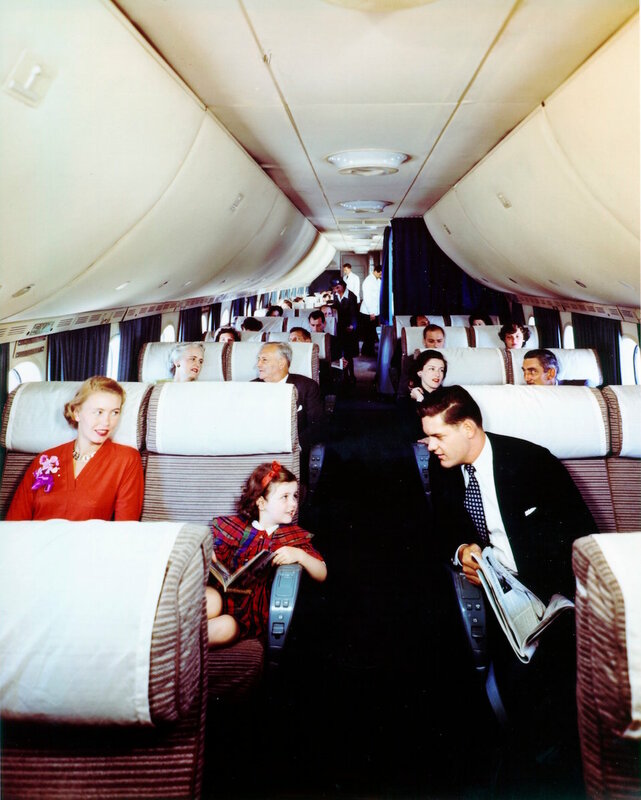 Especially in the main passenger cabin, which could seat 18 people. 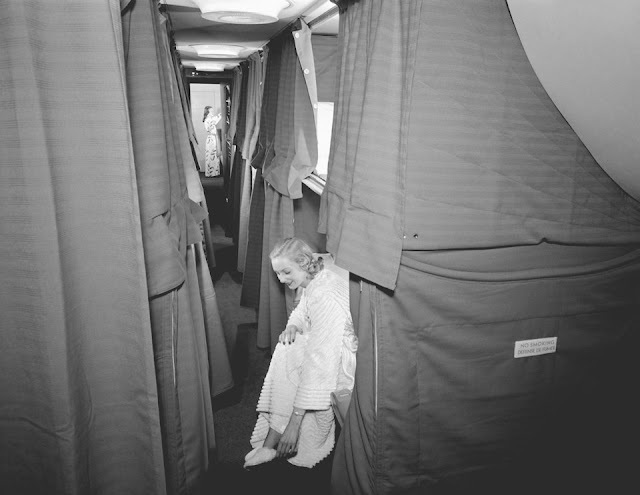 The seats could be lowered into nine double sleeping berths; another nine single sleeping berths could be lowered from overhead. In addition to reclinable seats, planes featured overhead sleeping berths. Curtains allowed for privacy. Sleeping berths could just be popped open from the overhead compartments. They could easily be opened and closed. 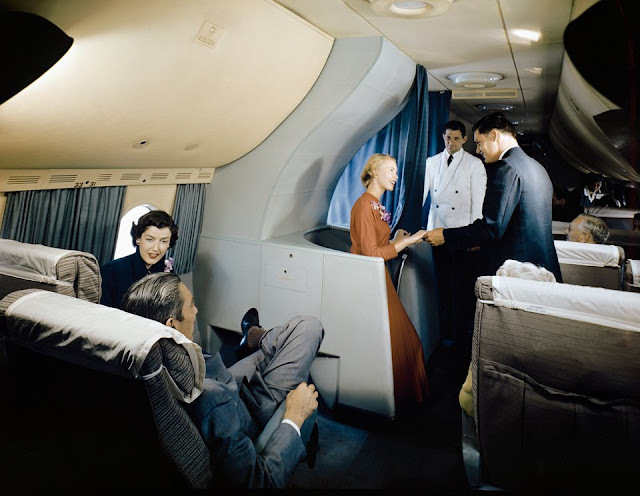 Overnight flights were certainly more comfortable. It's unclear whether airlines supplied dressing gowns. Passengers could stretch their legs away from their seats in a downstairs lounge area. 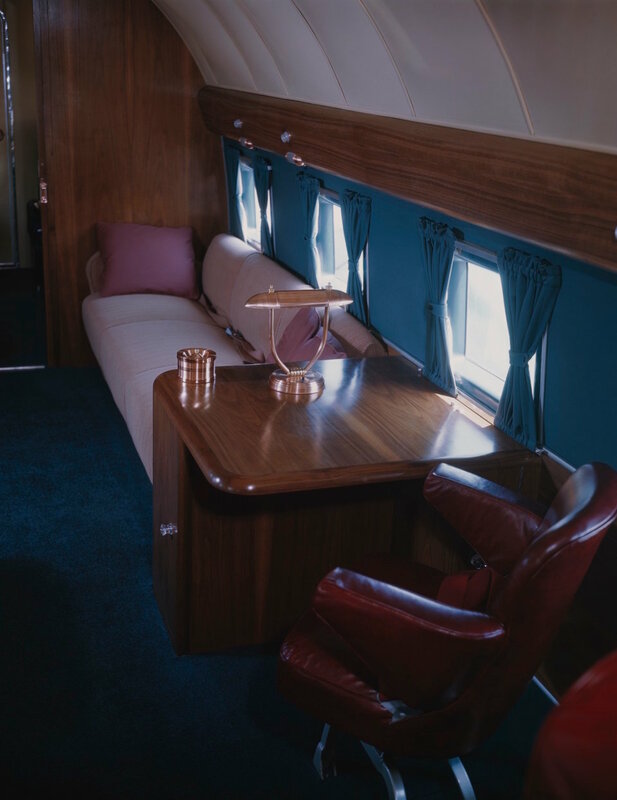 This lounge area is on a 377 Stratocruiser jet. 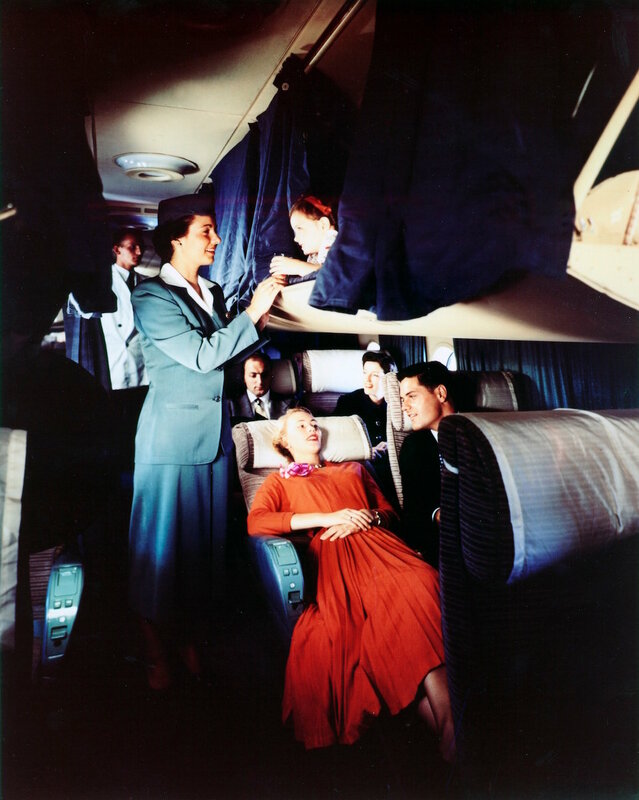 This lounge was furnished in soft colors, which were meant to help passengers' eyes adjust to light. Fabric was used to drown out loud sound. Back at their seats, everyone had their head in a book or magazine. No iPads to be found here. 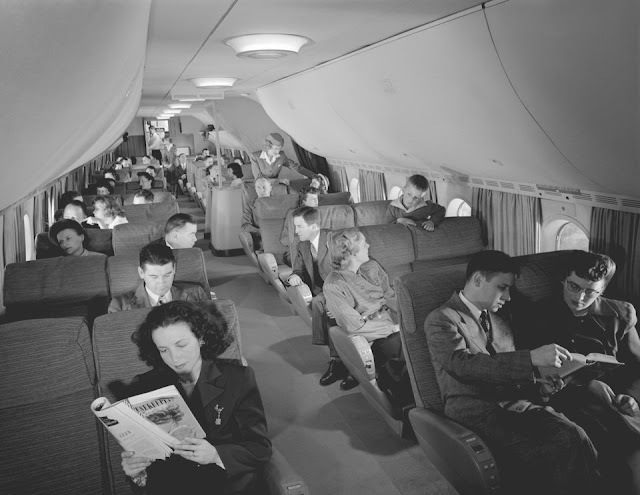 Passengers enjoyed greater legroom in spacious cabins with wide seats. With more legroom, reclining seats wouldn't have bothered the person behind you. 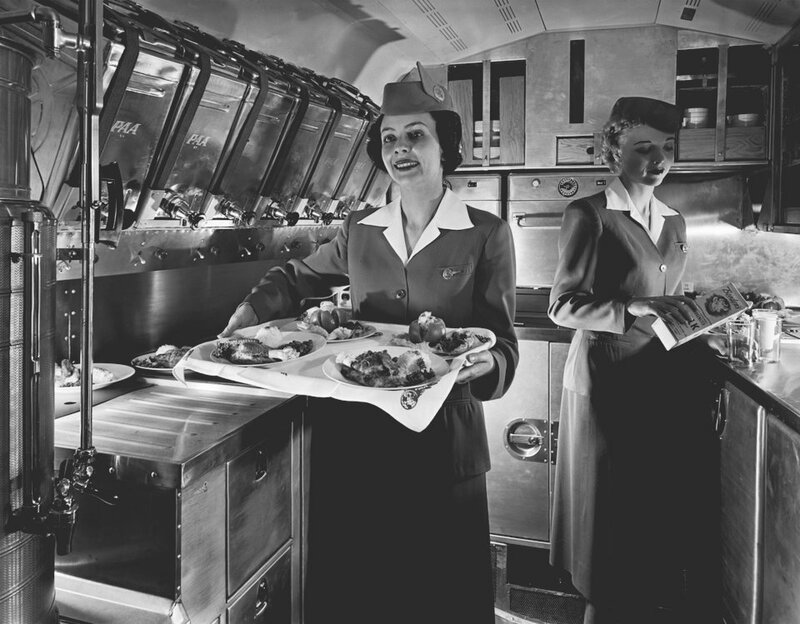 Flight attendants used to prepare pre-cooked in-flight meals in the galley, working at a rate of 24 meals in 18 minutes. Food was kept refrigerated in dry ice and heated up in electric ovens.